Member since: 2002 and an instructor since 2010. Studied with: Jeannette has learned from many incredible potters including Jim Etzkorn, Katrina Chaytor, Vincent Massey, and Yasuo Terada. She studied with the Edmonton Potters Guild for 15 years before coming to the Parkland Potters Guild. Jeannette also maintains a studio in her home. Jeannette continues to learn from the masters every chance she get and has a growing list of workshops under her belt. Some of her pottery heros include Steven Hill, Josh de Weese, Elen Shankin, Robin Hopper, Robin du Pont, Katrina Chaytor and Jim Etzkorn. Pottery type: Jeannette’s passion is for functional pieces fired at high temperatures. 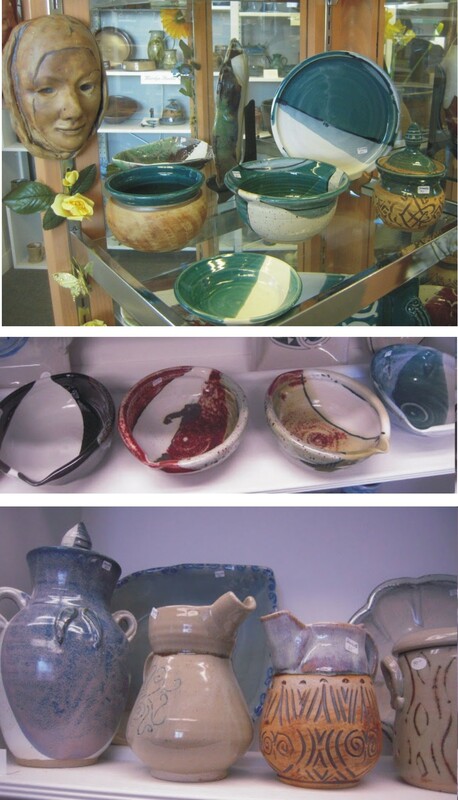 Pottery available at: Crooked Pot Gallery as well as gallery showings and exhibits. Jeannette lives near Stony Plain Alberta. While many unleash their teenage angst in songs, poems and misdemeanors, Jeannette found her means of soul and heart expression through painting and working with clay. Her loyalty to clay has been unwavering from the day she took her first pottery class in 1984. When not playing with clay she works as a community building social worker developing programs to reduce poverty, enhance community safety and inclusion.